Truck accident injuries frequently include damage to the legs and knees, particularly when the victim’s vehicle is rear-ended by a big rig, 18-wheeler, tanker, or bus. One of the most common collision injuries, "dashboard knee," occurs when the victim’s knees are pushed forward and crushed into the underside of the dashboard. Patellar fractures. A patellar fracture is a broken kneecap. Bones in the knee may break into pieces, be knocked out of alignment, or even protrude through the skin. This extremely painful injury can make walking impossible because it prevents straightening or bending of the leg. Surgery or splinting may be needed to heal the bone. Dislocated knee. When the kneecap dislocates, it can slide to the outside of the leg. This prevents the injury victim from straightening the leg, leading to pain, tenderness, and swelling. Torn ligaments. The knee has four ligaments that may become sprained or torn during a vehicle accident. A torn knee ligament can cause bruising, swelling, extreme pain, and difficulty walking. Some ligament tears are severe enough to require surgery, and it can take up to a year to fully recover from the operation. Degenerative arthritis. 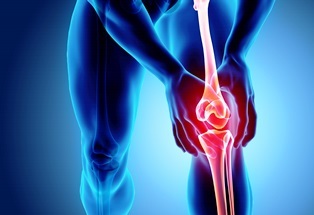 Truck accident knee injuries typically take many months to heal. The lack of normal knee function often results in degenerative arthritis, which is a life-altering disability for some people. Truck collision knee injuries can totally disrupt your life, making everyday tasks such as getting dressed and grocery shopping difficult, if not impossible. If you’re suffering from knee pain after a truck accident, you should visit an orthopedist as soon as possible to determine the extent of your injuries. You should also consult an experienced truck accident attorney, who can help you receive the compensation you deserve. To learn more, contact the law offices of Steve M. Lee, P.C., by using the form on this page.